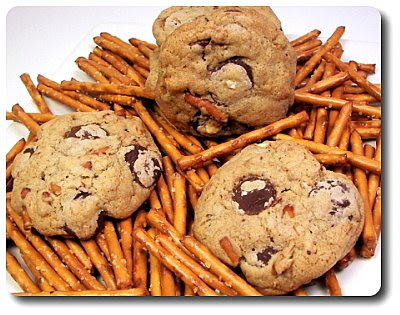 While Jeff saved some of those pretzel cookies we made for him to take into the office, they didn't last long and we were raiding the freezer to see if we had anything else to snack on this weekend. Nothing we found sounded too interesting, so some baking was in order this morning! 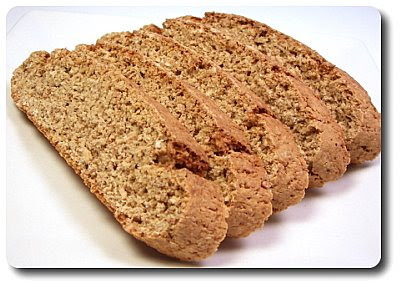 I thought about what we haven't made lately and it seems it has been awhile since we made ourselves a batch of biscotti! After taking note of what we had handy in the pantry, we ended up with these Toasted Oat and Coconut Biscotti. What makes these more interesting is taking the time to toast the oats, coconut and pecans before we used them. Besides changing their texture, their flavor is heightened and brought to a new level. I added them all on one of our larger baking sheets, just making sure to keep them in their own spots - you will need to stir them occasionally so they are able to toast evenly. They are ready when the oats are a pale golden, the coconut is well colored and the nuts are very fragrant. If your baking sheet isn't large enough, you can toast the nuts in a skillet on the stove or just re-use the same sheet when the others are done. Since you need to process that trio of toasted dry ingredients until finely chopped, be sure to let all of the ingredients cool down first. The remaining dry ingredients are tossed into the food processor and pulsed in to combine them all together. To finish creating the dough, the wet ingredients, consisting of light coconut milk, a splash of vanilla and a couple large eggs, are whisked together and added to the dry. Being not as wet as other biscotti, I mixed this dough by hand to gently work the ingredients together - it may seem a little crumbly at first, but it will come together. Formed, baked, sliced and baked again as we normally do (don't forget that spritz of water before slicing - it does make a difference! 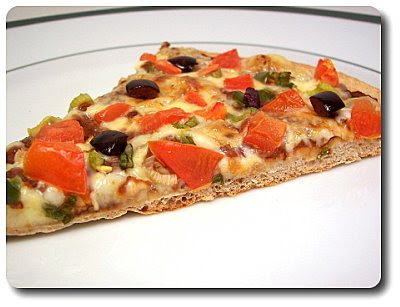 ), the nutty aroma of the slices had us very much in anticipation of them cooling down so we could take a bite. 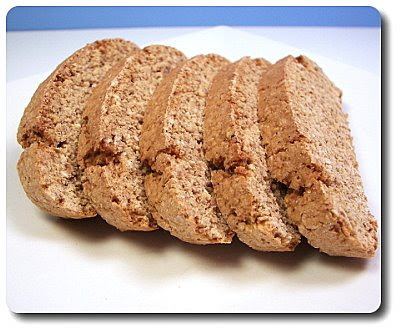 Since there is no butter or oil, these biscotti are especially crisp (bonus!) and perfect for dunking. The use of coconut in two forms brought a delightful profile, but they don't scream "I'm stuffed with coconut!!!" either. Toasting of the oats and nuts allowed their inner flavor to burst out and flow through the biscotti, making these a bit more rich than they might otherwise be. If you want to take these one step further, dunk the bottoms in a shallow bowl of melted white chocolate or scoop that melted chocolate into a zip-loc bag and drizzle it over the cut sides to add some pizazz! Jeff walked through the kitchen after hearing the hum of the food processor and immediately shouted "Oh yea! It's Friday isn't it? That means pizza - woohoo!". This week's Friday Night Pizza took a spin at transforming a favorite snack, nachos, and turning it into this Black Bean Nacho Pizza! To represent the crunch from chips, we used the twelve-ounce version of our favorite whole-wheat pizza dough and stretched it out pretty thin into a large circle. You can use the pound version for a more substantial base, but we wanted to keep it snappy and crisp. What I love about this dough is the fact that it is like putty in your hands - smooth, soft, no rolling pin required to work with it and we've never had much of a problem with it tearing when we want an especially thin crust. We did give the pizza base a quick zap on top of the baking stone to give the crust a head start - at this point you are not trying to cook it, but you want just the faintest golden color on the bottom. Once out of the oven, the base is flipped over so you will now be working on the side that had contact with the stone (aiding in keeping the crust crisp through and through). Instead of a tomato sauce, we slathered the crust with a dynamite pureed combination of black beans, roasted red peppers, garlic and two types of chili powder. Layered over the sleek "sauce" are chopped pickled jalapeños, Monterey Jack cheese, chopped plum tomatoes, scallions and a few chopped olives for a striking contrast. Slid back onto the hot stone, the pizza is allowed to continue baking until the crust turns a rich golden and the shreds of cheese connect into a divine gooey pool. While we have quite enjoyed the more simple pizzas we've had lately, the complexity of the bean sauce was a decidedly nice change of pace - I also liked how the chunky tomatoes added a fresh contrast to that darker sauce underneath. Since we groove on spiciness, the punch from the hot chili powder made this that much more exciting for us, but the pizza's success isn't dependent on that. 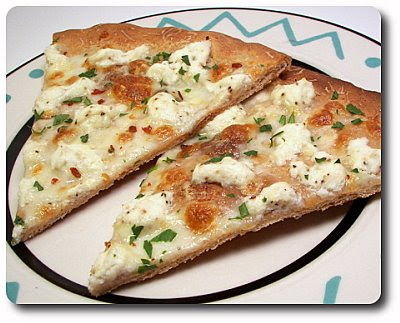 We felt the creamy mildness the Jack cheese offered fit well with the theme, but I could see cheddar, mozzarella or for a racy bite, your favorite pepper Jack, would also mingle well. 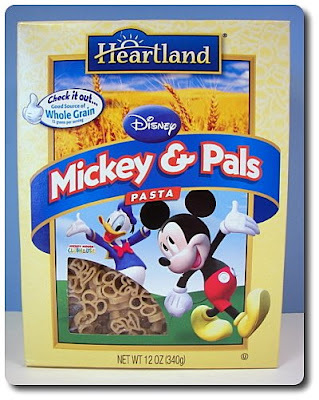 We didn't happen to have any in the refrigerator (next time! ), but a dollop or two of sour cream on top would have been a decadent treat! Jeff and I first tried edamame a few years ago on a whim and have loved working the green soybeans into a variety of dishes or just popping them in our mouths as a snack with a sprinkling of salt. Tonight's dinner took them in a direction we've never used them before - savory pancakes! 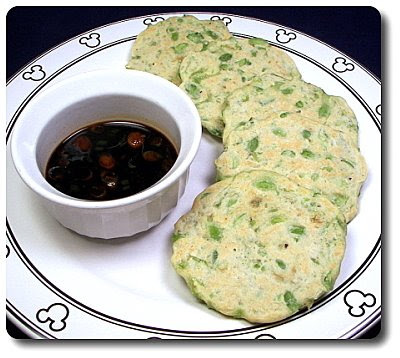 These Edamame Griddlecakes with Teriyaki Sauce have you prepare shelled edamame and then drain them very well as to not make the batter too wet. So the beans have a chance to incorporate a bit more into the batter, they are roughly mashed - just use a sturdy fork and leave some chunky pieces for texture. After being mixed with milk, an egg and a couple tablespoons of melted butter, a cup of flour is stirred in just until it absorbs into the liquids. You want the mixture to be close to a thick pancake batter, so if it looks a bit too thick, add in another splash of milk. Cooked just like a regular pancakes, you'll notice that they won't get as nicely golden like a regular pancake would as there is no sugar added - you'll know when to flip them when the edges turn from shiny to matte and bubbles come up to the surface. Since we had to do these in batches, I kept the griddlecakes warm by stashing them into the oven heated to the lowest temperature it would go to. 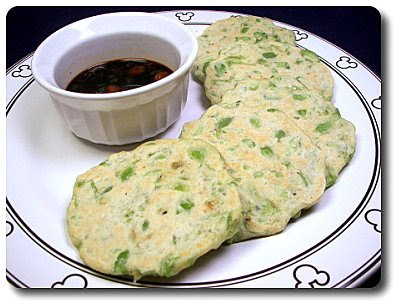 While not necessarily bland as you get ripe edamame in each bite, the plain bumpy griddlecakes do benefit from a dipping sauce. We prepared a homemade Teriyaki Sauce to go with these by heating soy sauce and mirin until they just began to bubble. Mirin is a sweet rice wine with a fairly low alcohol content - if this isn't a condiment you have access too, you could replace it with the same amount of honey to balance the soy. To the warm sauce, pungent grated fresh ginger and a clove of garlic are added, along with a chopped scallion or two. If you want to vary these, swap out the edamame for your favorite cooked bean and season the cakes with fresh herbs or your favorite spices that would compliment your bean of choice. If you opt for another bean, like black, how about serving them with a bowl of salsa on the side instead of the tangy sauce we made? Or pick another a lighter type of bean and serve with a dollop of pesto? After freezing all that corn from the sweet crop late summer, we're sadly coming to the last few cups we have stashed away. 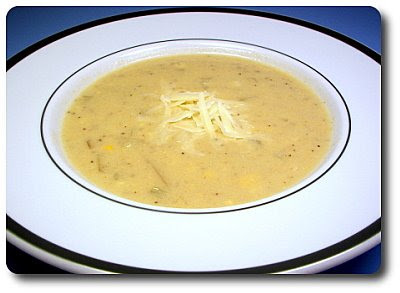 The supply especially took a big dip tonight after making this White-Cheddar Corn Chowder! I was hoping the corn would stretch us into the spring, but I'll just have to take note and remember to freeze a bit more this year. Starting with a base of softened onions and celery that we finely chopped, ground coriander, smoky cumin and a dash of cayenne pepper are tossed into the pot to start layering the flavors. Upping the heat on the stove a bit, a couple splashes of dry white wine were added in and allowed to concentrate briefly. Chunky bits of buttery Yukon Golds (peeled or not... that is completely up to you), vegetable broth and milk are stirred in, adding volume and texture to the chowder. After letting the liquid bubble away in the pot, transforming the potatoes from firm to fork-tender, an ample amount of corn kernels were dropped in and left to warm through. Somewhat thin as is, the soup is taken off the heat and given a voluptuous body by taking out a couple cups worth of the chowder, then smoothing it out in a food processor or blender. The thick puree is stirred back in, the pot moved back over the heat, re-seasoned and allowed to cook for a couple extra minutes to bring the temperature back up. After ladling the chowder into the bowl, we gave the tops a sharp dose of shredded white cheddar cheese for a finishing touch. I appreciated that the chowder still had some contrast since there were chunks of potato and bits of the corn present, thanks to pureeing only a portion of the mixture. I thought about upping the cayenne a touch, but the faint zing of heat turned out to be just right as any more would have taken away from the freshness in the corn. There is a certain flavor combination that both Jeff and I adore. For this week's Weekly Wednesday Treat Day, we fulfilled our own love of salty-sweet treats by making these Chocolate Chip-Pretzel Cookies. While the ingredient amounts have been fiddled with a bit, these cookies are based on that classic chocolate chip cookie recipe, though there is one additional star ingredient - crushed pretzels! When we make chocolate chip cookies just for us, we usually cut half the butter with shortening to get a crispier/firmer texture and to control spreading issues. However, since that texture doesn't always groove with everyone, we decided to use entirely butter for that fat in these cookies. Instead of an equal ratio of white to brown sugar, we bumped up the brown for a little extra depth and chew. Once the creamy dough was beaten together and smooth, we added a generous amount of crushed pretzels and let the mixer run briefly to disperse them throughout the dough - then we folded the same volume of bittersweet chocolate discs. I tested a couple cookies before loading up the baking sheets to see how they would bake - the look and texture was what I was looking for at the 10 minute mark, but I felt they could use a helping hand by slightly flattening the dough before baking. 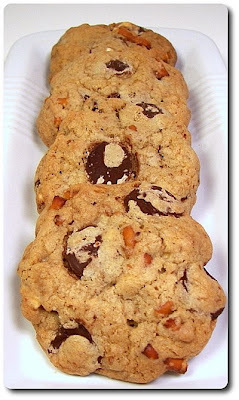 If you want a softer cookie, take them out when they are set around the edges and the center looks slightly underdone. For a bit more crispness, let the center become set and the edges turn lightly golden, which is what we did. This gave our cookies a crisp perimeter, but they still had a nice chew as you reached the center. 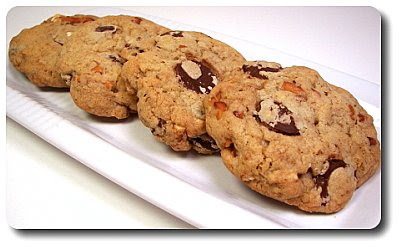 Using a tablespoon cookie scoop gave us well-portioned cookies that had decent thickness - however, if you are into big, fat cookies (good for bake sales! ), use a quarter cup to measure out the dough and extend the baking time slightly. The coarse nubs of pretzels, with their delightful salty crystals attached, balanced the sweetness of the cookies well and shed light onto how well those two profiles mingle together. For dinner tonight, we had a fun take on burgers by making them veggie-friendly and without any meat. Jeff was quite skeptical - burgers without the meat? He then muttered "Ugh, does that mean there are mushrooms in it?". I told him to raid the refrigerator and he was relieved there were none in there. 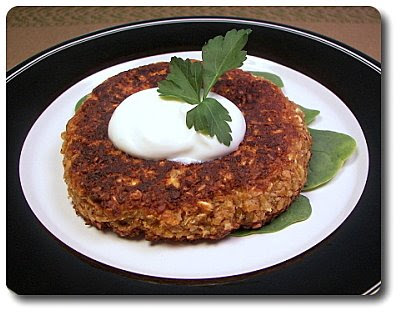 With the help of our food processor, the method to make these Cashew Burgers was a breeze! Chunks of an onion were up first in the processor bowl to be finely chopped - cashews, old-fashioned rolled oats and a couple spoonfuls of tahini were next and they were processed until chopped, but not too fine. If you've never had tahini before, it is usually one of the key ingredients in hummus for its nutty quality - it is an oily pale paste made from sesame seeds. You can use whatever kind of binder you want here though - other nut butters, tomato paste or even miso to vary the background notes. Also tossed into the mix to act as a binder is an egg - seasoned with chili powder, the chunky mixture is pulsed together just until the ingredients are combined. You don't want to process this to oblivion - keep it fairly coarse for the best texture. Right out of the processor, the burger mix may seem excessively damp - however, as it sits, the oats will absorb more of the moisture and firm up. You can let it sit for awhile before working with it, but I just lightly wet my fingers, formed four patties and let them hang out in the refrigerator to let the oats their thing while I was off taking care of the pups' dinner. When we were ready to eat, I slid the patties into a hot skillet that had just enough canola oil to cover the bottom. After a few minutes, we flipped the patties to reveal their rich golden bottoms and let the other side cook for just a couple more minutes. Thanks to that rest in the refrigerator, the burgers held together remarkably well and we had no issues with them falling apart in the pan. Serve these as you would a regular burger with a bun and your favorite condiments if you like, but we had them simply with a dollop of sour cream and set them atop a few leaves of baby spinach. Not dry, but not leaking with juices as a meat burger would be, this turned into a happy compromise between the two. Nuts and oats certainly make for a filling combination and both of us found we liked the cleanness of these veggie burgers. Season these as you like, but Jeff and I enjoyed the spice the chili powder brought - enough to come through and lift the burgers, but not too much that it muddled the nuttiness of the tahini and cashews. 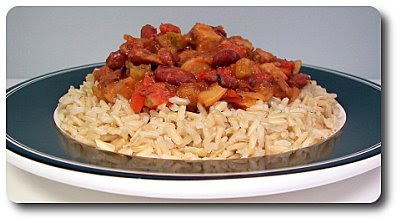 Before I started on our dinner tonight, Cajun Red Beans and Rice, I needed to get a batch of brown rice going to serve it over and to keep it easy, I used the no-fuss method we've grown to love. I jumped in head first by chopping a couple links of chicken andouille sausage links and a trio of vegetables that needed to be cooked. You can certainly use links of regular andouille sausage if you like, but the chicken version is a bit lighter and not as laced with fat. So, while you do lose a little of the special flare, it leans a bit healthier and we found it didn't make a drastic difference. A couple hefty pinches of Cajun seasoning went in, along with dried oregano, salt and a couple cloves worth of minced garlic. Stir the spices in with a loving hand and give them some time to dance with the heat of the skillet - the warmth that is released is worth the minute or two of silent time with your trusty wooden spoon. Before adding the red beans into the mix, they are partially mashed - the squished beans will add body later on as the mixture simmers. Fire-roasted tomatoes are tossed in and the mass is left to steadily bubble until the texture tightens up. I'm well aware that this would most likely be served over bright white long-grain rice, but we've become quite accustomed to the nuttiness of brown rice. If we made a dish where the rice was to stand out or need the lightness of, I would have no problem using it, but long-grain white rice just typically isn't in our pantry anymore and in this recipe we didn't feel it was required for our tastes. Just before serving, be sure to take a small spoonful and give it a taste - we felt a good dose of black pepper was in order, rather than the small 1/4 teaspoon the original recipe called for. 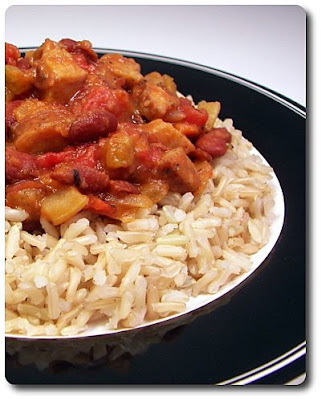 Scooped onto a bed of the rice, we found this to be hearty, have a pleasant heat level (this will depend on what blend of Cajun seasoning you use) and a welcomed smoky depth from the sausages. Might be not as traditional, but just the same, it was a satisfying way to warm us up tonight! The backyard was getting kinda cruddy and slippery between snow wanting to melt, then freezing into ice afterwards! 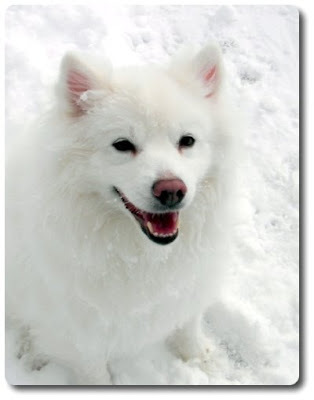 We got a few inches of unexpected snow on Friday that freshened up the yard and the pups couldn't resist tearing around and chasing each other in the powdery fluff! Max was pretty tired after running from Gus. 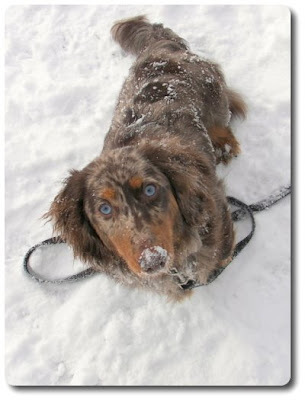 Gus, seen below, was still raring to go and would spend all day in the snow if he could! 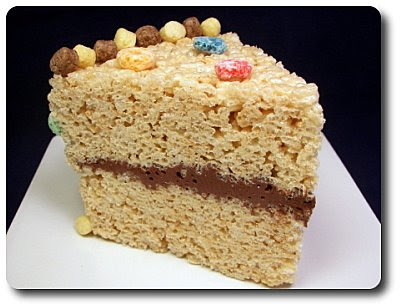 With another week of 2009 behind us, we prepared 7 new recipes - our tops this time were the whimsical Rice Krispie Cake (you gotta make it! 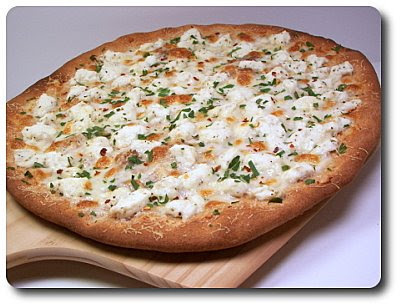 ), Parmesan-Herb Focaccia and that simple Three-Cheese Pizza. I stashed the leftover tortillas from that Turkey Con Queso Bake we made a few weeks ago into the freezer and have been waiting to come across a recipe to use them. I found these Potato, Greens, and Goat Cheese Quesadillas buried in my to-try piles and figured we would give it a go tonight. 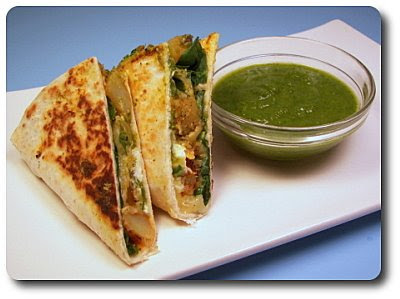 While we have had a few unusual quesadillas, I can't think of one that was stuffed with chunky cubes of potato! Instead of boiling them, the cubes are steamed to keep them fluffy and light. When tender, we seasoned the warm pieces with smoky ancho chili powder, along with an equal amount of hot chili powder for an extra kick. While the potatoes were off cooling, we got a dipping sauce and topping going by combining prepared salsa verde (tomatillo salsa) and mustard greens for a slight bitter bite. When the potatoes were cool, we tossed them with a generous amount of hot pepper Monterey jack cheese. After I pulled out the tortillas and got them ready for assembly by topping them with some additional mustard greens, I peered down with a raised eyebrown at my bowl of potatoes and cheese. It looked a bit too generous to me for those little tortillas! I forged ahead and divided the potato mixture between the bottom halves of the tortillas, along with adding spoonfuls of the salsa mixture over the top. Crumbles of tangy goat cheese went on top before I needed to fold the unfilled side of the tortilla over - it just barely came over to match the other side. If I had an extra tortilla, I would have split the filling between five instead of four, but alas I didn't. So, cooking them to crisp up the tortillas and heat the filling through was a bit messy with some spillage from the open side, but it wasn't as bad as I expected. Thinking about it now, I might have been better off just dividing everything between two tortillas, topping them with the two plain ones and cooking them that way! In the end it did not matter much - messy or tidy, these grabbed a hold of our attention and didn't let go until our plates were clean! Spiked with the greens, using the citrus-y tomatillo salsa as a dipper, as well as part of the filling, acted as a pleasing cooling agent when paired with the smooth goat cheese to help keep the heat from the cheese and seasoning from becoming overwhelming. 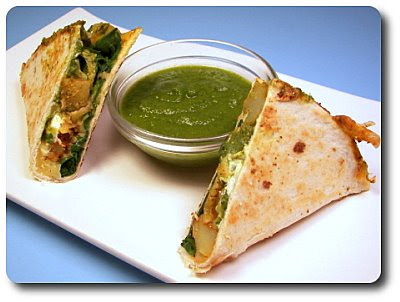 The contrast in textures from the crunch in the golden tortillas and softer potato filling just added to the gratifying nature these quesadillas brought to the table! Don't want to buy mustard greens or feel they are too bitter? Try using spinach as a milder replacement. No, I didn't drop these Cinnamon Butter Cookies! Jeff was busy with a few work-related items this morning, so he didn't have a chance to see that I was working on a batch of cookies downstairs. When he came down, he looked at the cooling rack and said "What happened to those cookies? Did you drop the pan when they came out of the oven?!" Grrr... I replied with a snarky "of course not!" and said they are supposed to be that way. See? 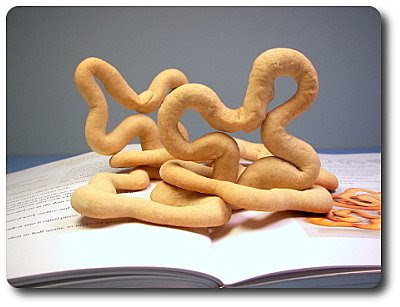 I had to point him to the cookbook and show him the picture of these Raivas and prove it. I don't really know the story as to why these are instructed to be formed like this, but believe me that they taste a lot better than their homely appearance may suggest! Also known as Cinnamon Butter Cookies, the dough for these Portuguese treats is a very clean and basic combination of butter, sugar, flour, a few eggs and a couple pinches of salt. Oh, and of course, the key ingredient - cinnamon! You'll want to use your best, most intense cinnamon for these and if you've been reading us very long, you will already know that we used our favorite Vietnamese cinnamon. 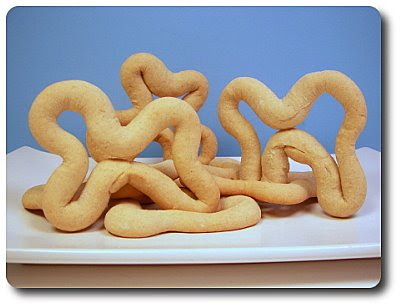 To form these unique-looking cookies, we divided the soft ball of dough into twenty four knobs and rolled each into a long, thin rope. The ends were connected, forming a circle, and gently lifted onto the baking sheet. All that is left to do is push the round into itself in random shapes and sizes so the edges are very irregular and crinkled. Once the cookies are formed, they are baked until they are firm to the touch and golden - while not too delicate when cooled, let them sit on the baking sheet for a couple minutes before you try and move them over to a rack. 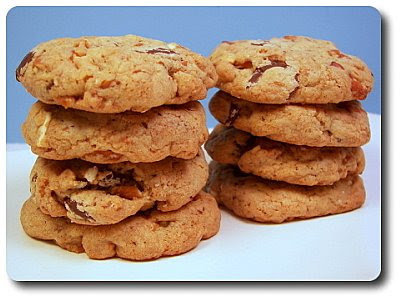 The cookies are not necessarily moist or crisp, but they are not dry either - they are fairly sturdy and a bit crumbly, with a lingering aroma of it's sweet fragrances pulsating from each piece. Perfect for dunking into a (wide) glass of milk or your favorite flavored coffee. Pizza night is here once again! I'm glad we decided to do this on Fridays - what better way to start the weekend?! 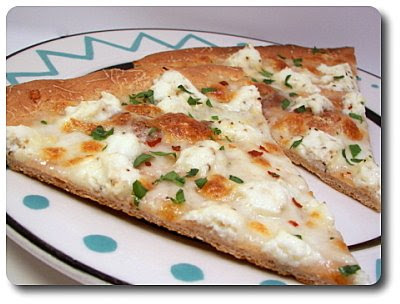 For this week's pie, we kept it pretty simple and uncomplicated with this Three-Cheese Pizza. Using our convenient and favorite whole-wheat pizza dough as a base, we baked the stretched round on our well-used pizza stone until it was just lightly golden to give it a head start. Once we whisked it off the stone, the top was showered in shreds of fresh mozzarella cheese. It can by a little tricky to shred the fresh cheese, but one way to help that is to stick the cheese in the freezer for just 15 minutes or so to give the ball a little substance to work with. If you'd rather not go that route, I'm sure that thinly slicing it instead would work just fine. Over the mozzarella, we dropped small dollops of ricotta cheese, followed by a shower of fresh grated Pecorino Romano to lend a salty punch. Speckled with coarse black pepper, the pizza went back into the oven to melt the cheese and finish crisping that thin crust. Served with a sprinkling of crushed red pepper (couldn't help it!) and fresh parsley for a pop of color, I don't think there will be any leftovers of this pizza to enjoy tomorrow... while there are couple slices left, I think they'll be gone before the night ends! The three cheeses worked quite well in harmony with each other - the mozzarella melted beautifully to connect and fill in any uncovered holes, the ricotta bumps added creamy bursts while the Pecorino finished it off with a bang. I do think I would add one more thing next time - as soon as the crust came out of the oven the first time, I'd run a sliced clove of garlic over the warm base for a faint garlicky whisper underneath the cheese. Apparently when I wasn't looking a few weeks ago, this slipped into our basket while we were at the market and I didn't notice it until we got home. Sigh... I told you Jeff was obsessed with Mickey! 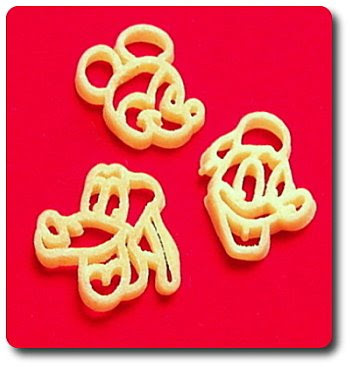 Now I had to figure out how to work Mickey, Donald and Pluto into dinner. Luckily, I didn't have to look too hard... 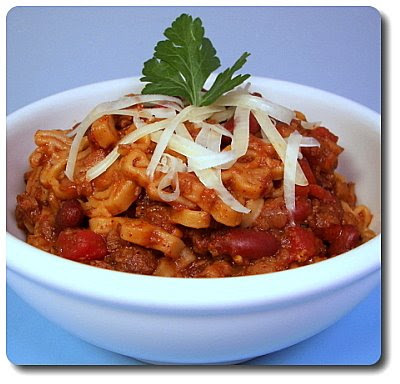 I thought about a recipe I came across recently that used that funky wagon wheel pasta, so I swapped that shape for the Disney characters and made this Chili Pasta with Beans. We began this one-pot dish by browning ground sirloin and a chopped onion in a skillet with a whisper of oil covering the bottom. To add some intensity to the sirloin, we used a combination of two chili powders - ancho and a hot chili blend... you could, of course, just use your house chili powder if you like. To back up those spices, we also stirred in cumin and oregano - when you add all those spices, be sure to stir them around the pan for a minute. Besides thoroughly coating the meat, the heat in the skillet will help their flavor bloom and flourish. Now, because we are not pre-cooking the pasta, you'll need enough liquid in the pot to give it something to absorb and cook through. The original recipe called for using water, but we poured in beef broth since I had some handy - use water if you like, but why miss a chance to add more oomph if you can? Along with the pasta, we added red kidney beans, a bit of tomato sauce and fire-roasted diced tomatoes that were spiked with green chiles for that fiery thrill. 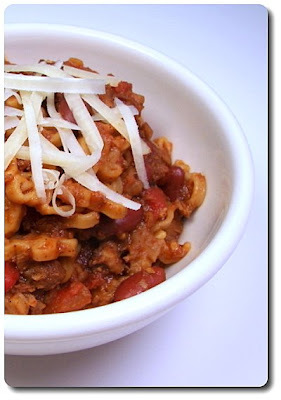 Be sure to cover the skillet as it simmers - this will help trap the moisture inside, ensuring the pasta has plenty of liquid to absorb, while leaving enough leftover to keep the chili movin' and groovin'. 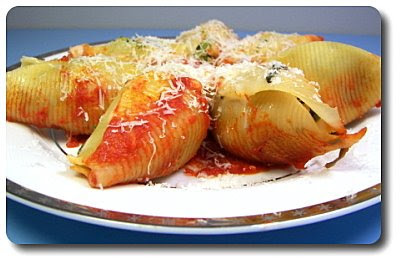 Do keep in mind, since the skillet is packed pretty full, the pasta will take a little longer than you think to soften. 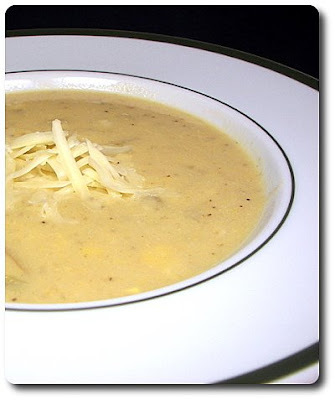 Topped with a few shreds of sharp white cheddar, this dish was hearty, completely comforting and very stomach-warming. Warming in more ways that one... it was pretty darn spicy! While not too spicy for us (though, it did get us sweating! ), if you don't enjoy that heat, I'd either use a milder chili powder, just add a few dollops of sour cream, or tame the tomatoes by using regular fire-roasted instead. This also gets big points for being pretty quick to prepare and keeping the dishes down to a minimum... making for an inviting, healthy weeknight meal! We had some carrots and broccoli in the fridge that looked a bit sad and either needed to be used or tossed into the compost bucket. 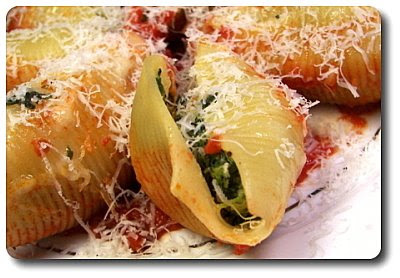 The recipe I had planned on making tonight didn't use either, so I swapped recipes around and prepared these Veggie Stuffed Shells to get those vegetables used up! Getting the filling together kept my hands busy while we waited on the jumbo shells to finish cooking. I chopped up the broccoli, shredded the carrots, whacked away at a small onion and minced a couple cloves of garlic to throw into the skillet to begin the process. When they had started to become tender, we tossed in thawed and drained frozen spinach (using our handy potato ricer to press out the excess liquid!) with a little vegetable broth to help things along. Once heated through, the cover was removed from the skillet to let most of the excess liquid inside evaporate so the filling isn't too wet. To refresh the mixture, we stirred fresh basil into the warm vegetables, followed by a scoop of ricotta cheese and a couple hefty pinches of Parmesan to bind the vegetables together. While all that was happening, I drained the shells when they were ready and set them onto a baking sheet to cool down a bit... you don't want to burn yourself trying to fill 'em up! After slipping all of that healthy filling into the shells, we arranged them in a large baking dish with a generous pool of marinara sauce covering the bottom. I say arranged, but it was more like squished - I don't know if our pasta box had a few extra shells in it or what, but it was quite the tight fit! With a sprinkling of mozzarella cheese, the pan was covered and planted in the middle of our heated oven until the shells were warmed through and the sauce was bubbly. I thought it was a little odd that the tops of the shells were not dribbled with sauce in the recipe, but since it was going to be covered, Jeff and I figured they would be okay. While the shells did not end up being dry or tough by any means, I did think they would have benefited by saving at least a half cup of the sauce that went onto the bottom and spooning it over the top instead for added moisture. We liked how these were stuffed with a variety of good-for-you vegetables, but it didn't come across as being in-your-face... the ricotta and Parmesan added enough distraction that I think even the kiddos in your house might be fooled and would enjoy this! 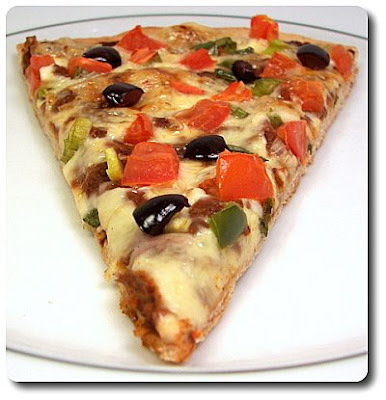 You can leave out the crushed red pepper, but there isn't enough to make it very spicy - just a bit to soften the edge. 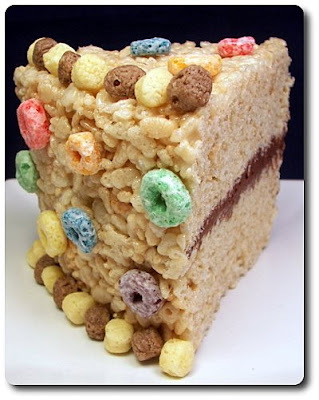 To lighten the mood and throw a little whimsy into this week's Wednesday Treat Day, we thought we would open a line to the kid in everyone's heart with this Rice Krispie Cake! Who says you have to serve those beloved treats in bar form anyway? This is your basic Krispie treat recipe, though we fiddled with the amounts to get nice texture, along with adding some salt to cut the sweetness. Because we are sneaking a hidden surprise in the middle, we divided and pressed the cereal mixture between two cake pans, rather than into one pan and having to try and slice it in half. While the cereal layers were resting, we quickly made a chocolate-y filling by melting together a couple pats of butter with a few scoops of marshmallows - when almost melted and combined, we threw in a scant cup of chopped bittersweet chocolate. I used bittersweet because that is what I keep on hand in the pantry, but semisweet would be acceptable. When it was still warm, but not right-off-the-stove warm, I topped one cereal layer with it and let it stand, uncovered, for a few minutes to start setting up. As the dark, sticky filling sits, it starts to set and the stickiness goes away, but it still stays pretty soft - it reminded me of a warm tootsie roll in fact! The other layer went on top and was pressed down into the filling to secure the two layers together. You may now have some filling exposed, but in the directions you'll notice we have you set aside some of the cereal mixture before pressing it into the cake pans. This mixture is used now to patch and hide any of that filling! 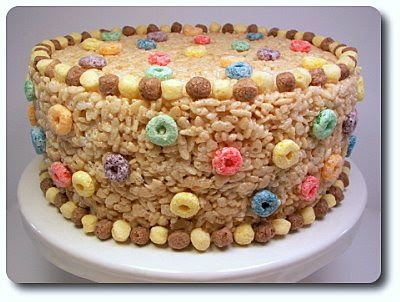 You could serve this as is, but it may look a little pale... so to brighten it up, we cracked open some of Jeff's favorite cereals and decorated away! We used chocolate and vanilla cereal balls around the bottom and top edge, then used brightly colored, fruity rounds everywhere else! 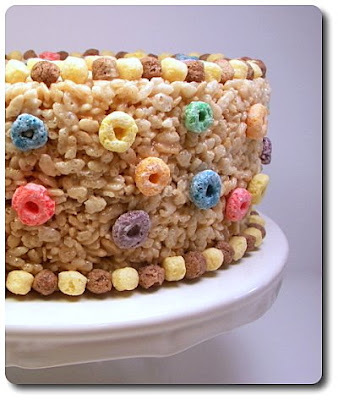 Since we didn't wait too long to do this, the "cake" was still a little tacky and the cereal stuck right on without needing any additional help. Be sure to give the assembled piece at least 30 minutes to an hour or so before cutting into it... this gives it a chance to become stable and make slicing easier. If keeping it longer, like we needed to, just cover it well in plastic wrap so the cereals don't dry out. Yes, it may be a little silly and it is still pretty sweet, but I think we all need that rush from time to time, don't we? We didn't prepare anything new or exceptionally exciting as sides for tonight's dinner, but we still have a pleasing protein dish to share! 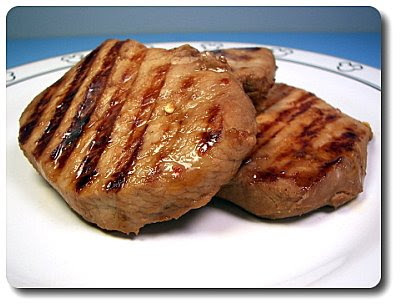 The great thing about these Hoisin-Marinated Pork Chops is the fact that they need to chill out in the refrigerator for at least 8 hours, giving them time to absorb the marinate - you could certainly do them the night before as well, which is what we did. Perfect deal for when you know you'll be busy the next day and can't fuss with a messy dinner preparation! Besides having just a few, but potent, ingredients in the marinade, it also got bonus points for not having to dirty up a bowl and whisk to prepare it! Just throw the soy sauce, hoisin, honey, crushed red pepper and a couple cloves of minced garlic into a zip-loc bag, squish it around and toss the chops right in. If you have a grill, by all means fire it up if you like, but we just plugged in our ever-handy Griddler as we just had four chops to cook... besides, it is still quite chilly outside! We like to take our pork off around 140 to 145 degrees and let them rest - this provides pork that is still plenty moist and tender... however, I won't be in your kitchen watching you, so take them as far as you need to feel comfortable. The potent marinade hit lots of points - salty, sweet, tangy and spicy with a touch of savory from those minced garlic cloves. Serve whole as we did, or how about slicing it up to toss in a fried rice dish or rice noodle salad? Last night, Jeff wandered into the kitchen and was wondering what in the world all the ruckus was about so late. 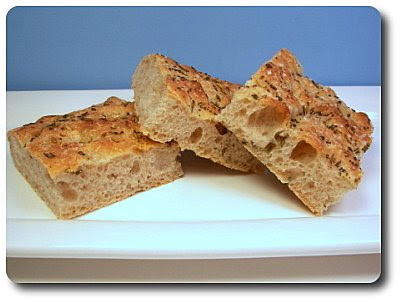 I was busy with a bowl and my sturdy wooden spoon making the dough for this Parmesan-Herb Focaccia we were going to have with dinner tonight! I needed to do this then because once it was stirred together, it had to sit around for almost 18 hours before we could work with it. 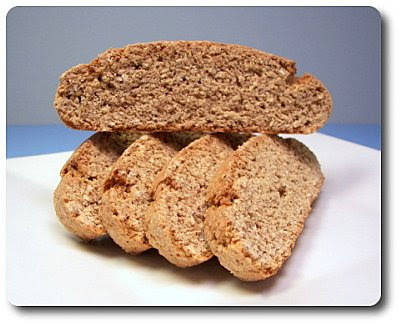 The dough was a basic mixture of bread flour, white whole wheat flour, yeast, cheese, salt and icy cold water. Cold water you say? Don't most yeast breads require warm water? Well, since this recipe is basically a no-knead bread, using cold water will slow the yeast way down, allowing for a well-developed flavor and texture, without having to pay much attention or putting a lot of muscle into it. The only real work last night was grating a bit of fresh Parmesan to mix in! After breakfast this morning, I did give the risen dough a quick stir, but if it isn't convenient, you don't have to. Once the time was up and I had time to work with the dough, we gently deflated the moist and bubbly dough. Before we scooped it into the baking pan, we sprinkled the dough with a heavy tablespoon of chopped fresh rosemary - don't be tempted to mix in though, just add it to the top and dump the dough into the pan. While I've never had any issues, the recipe did state that sometimes certain herbs can inhibit the yeast if they are incorporated into the dough, so why risk it? Drizzling your best extra-virgin olive oil over the dough is next, followed by smooshing it out to cover the bottom of the pan. If the dough starts to pull back and shrink into itself, walk away for 10 minutes to give the gluten a chance to rest and then continue. 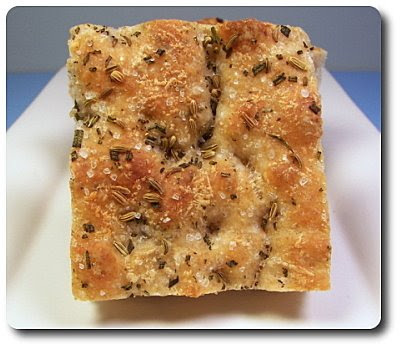 With a sprinkle of extra Parmesan and more fragrant rosemary, the dough is covered and set aside to rise again. After giving the dough a sprinkle of water, I gently pushed my fingertips all over the top of the dough to form small divots and deeper indents - this relieves some of the bubbling that will happen as it bakes. Giving a sprinkling of coarse sea salt right before going into the oven, this bread bakes long enough until the very light top transforms into a gorgeous golden brown color. With the mesmerizing smell of freshly baked bread lingering through the house, it was sure giving our patience a run for its money, trying to let the bread cool before tearing into it. Biting through the crispier outside and into the chewy inside, I loved how the vibrance of the fresh rosemary stood out, but still let the core of the bread be the dominating flavor. The zing of the coarse salt on top was a novel touch as well. To vary the herb, or if rosemary doesn't get you excited, swap it out for fresh oregano and even some chopped chives. 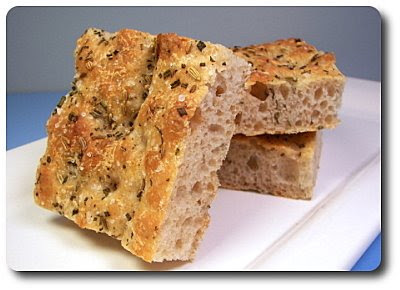 I have a feeling we are going to finish this entire focaccia in record time, but I know it will be made again for the simple fact that we both can't wait to try it halved and used for the bread in a sandwich and panini! As we promised, it was time for more treats to send off to Jeff's niece who in busily chipping away at her first year of college! A little recap if you haven't been following - first we sent a batch of those Outrageous Oreo Brownies back in September... in October, those Chocolate Malted M&M Cookies went out to her... November's treat brought her that Smaller Batch Penuche Fudge... December was that addicting Gingerbread Popcorn... and I'm sure you'll remember those Butterfinger Crunch Blondies went sent in January. 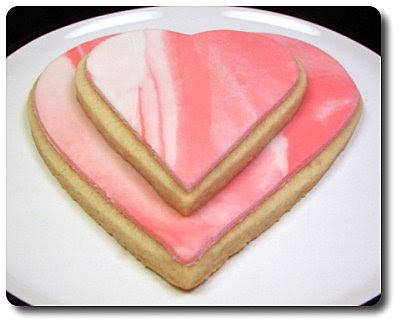 We tried to tie in Valentine's Day with the new treats we sent, so we made a batch of Rolled Sugar Cookie Dough, cut it into a heart shape and then topped it with a special addition! And just because they have been having a very busy week at Jeff's office, I did make another entire batch for Jeff to bring in and share with his co-workers yesterday. 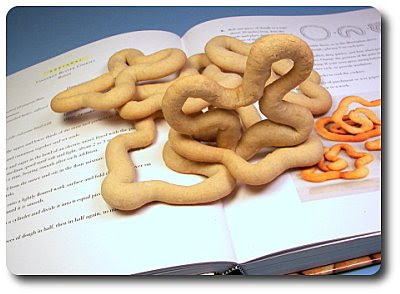 The dough we made for these worked fantastic for a cut-out cookie. To condition the dough and make the cookies a little more tender, a few tablespoons of potato starch is added to the dry ingredients - if you don't happen to have that, cornstarch would be a good substitute. To scent the dough with the sweet essence of vanilla, I broke into our jar of vanilla sugar I've had stashed away in the pantry. All you need to do to make your own vanilla sugar is to stick a couple used vanilla beans into a jar with sugar and let it gently perfume the coarse grains. You can certainly buy it already made, but it will be more expensive... you don't have to use it either, but its subtle flavor that adds such a charming sweetness will grow on you! I did work in some brown sugar to add a little oomph to the cookies, but you could use completely granulated if you choose. 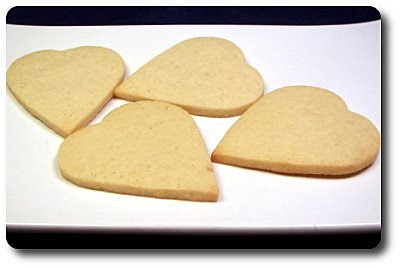 The vanilla flavor also pulses through these another way in the form of vanilla extract - with sugar cookies, we've also come to like adding just a small amount of almond extract to give extra dimension. I don't think they made them taste like almond extract by any means, but the subtleness it adds makes you think "hmm... what makes these just a little different and so good?!". While you do want to chill this dough, I do have a tip for the rolling out process to go a little easier just like we used with those Graham Crackers the other day. Right after mixing the dough together, I divided it in half and placed each portion between two sheets of parchment paper (you could even use two silpats or wax paper) - while the dough is still supple and soft, it rolls out like a dream without much pressure or force at all. However, because it is soft and full of butter, you need to refrigerate it before you cut out the cookies. And since it is already thin and flat, it won't take nearly as long to chill down as a full disc of dough would! Jeff and I thought about what we wanted to do for decorating the tops of the baked cookies. We thought about slathering them in buttercream, but since we were going to ship the cookies, we thought it might end up be a little messy when they got to his neice. 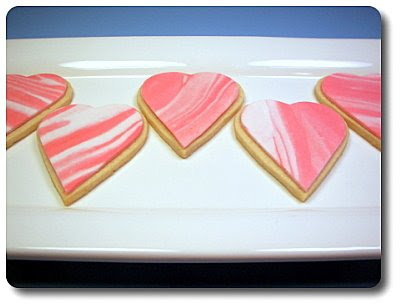 We then thought about using royal icing, which would have worked fine, but we wanted them to be more special. What did we end up doing? I made a batch of marshmallow fondant instead! I think it tastes better and is not quite as assaultingly sweet as regular fondant can be. It was not as daunting as I thought it would be to make, but it does give you quite a workout... here's a link to the directions that we followed. I did add a couple teaspoons worth of vanilla as part of the liquid needed when you melt the marshmallows to echo the flavor in the cookies. I'm already going long in this post, so I'll try not to babble on about this, but if you do have any questions about preparing it, don't hesitate to ask! Rather than doing a single color, Jeff asked if there was any way we could add some flare to the fondant. I took half of the very white marshmallow fondant and added a few drops of red gel coloring. After kneading the color in well (and oops, subsequently staining my hands pink! ), I rolled both portions (the white and now-pink) into long ropes, squished them together and then twisted them like you would ring out a rag. I coiled the rope up, formed it into a ball, repeated the twisting process and then rolled it out to form the striking marbled appearance! What fun - kind of like edible play dough! So as to avoid additional sweetness to the fondant, I did use potato starch, instead of confectioners' sugar, to ensure it wasn't sticking as I rolled it out. Thinner is better here - we kept it just shy of 1/8" thick so it wasn't overpowering. 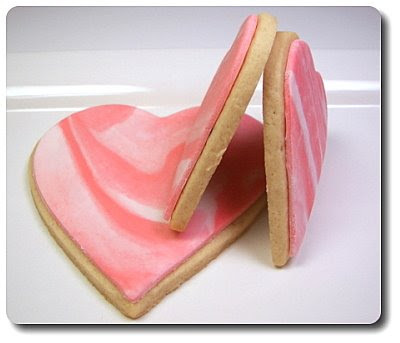 The same cutters that we used on the sugar cookie dough, I also used to cut out the fondant so the two would match well. 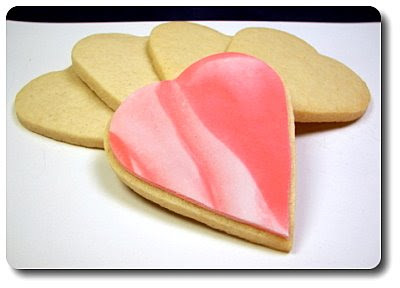 To stick the fondant on, we simply painted on a light layer of decorating gel onto the cookies and slid the fondant right on top - instead of the gel, you could also use a very thin layer of buttercream. 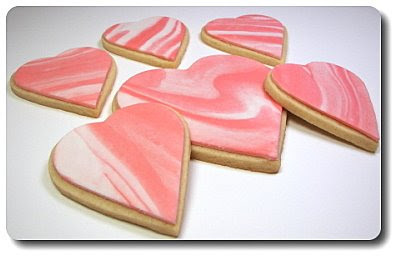 What a fun process from start to finish - just different enough and boy, what a way to present simple sugar cookies! 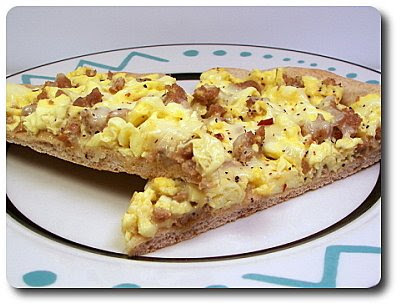 We brought an inkling of breakfast into our Friday Night Pizza this evening and came up with this Scrambled Egg and Sausage Pizza! 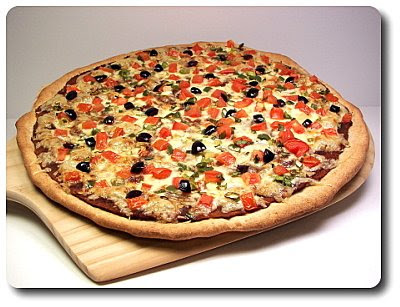 I'm sure it is no surprise to you by now that we indeed used our favorite whole-wheat pizza dough for the base of our pizza. However, because of the toppings used, we did do a couple things different than we normally do - the first was to make a rim by crimping the edge. We then docked the stretched out dough all over the top and slid the naked crust onto the stone to bake. Since the toppings will be pretty much completely cooked already, we wanted to bake the crust by itself until it was golden all over. To top this pizza, we took three-quarters of a pound worth of hot Italian turkey sausages, removed their casings and browned the meat in a skillet. Once it was crumbled and cooked, I scooped the pieces out onto a paper-towel lined plate to drain, while I melted a tablespoon of butter in the same skillet. When it was sizzling, I poured in a combination of whole eggs and egg whites that I whisked with a heavy splash of milk. You could use entirely whole eggs (you'd need eight), but I often like to swap out a few eggs with whites to make it a little lighter. After gently cooking the loose eggs until they had just barely formed curds, were still glossy and quite moist, I added the sausage back in. We scooted them out of the pan right away, just shy of being undercooked (for our tastes at least), because they will get another quick blast of heat in the oven. 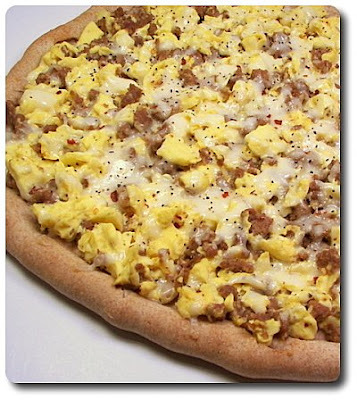 Before arranging the eggs over, we scattered the top of the golden crust with a handful of shredded mozzarella. The eggs went on top, followed by an additional dose of cheese - we then slid the pizza right back onto the hot stone and let it cook long enough to turn the cheese gooey. While the sausage already had some heat to it, we did add a sprinkle of crushed red pepper just for that alluring tingle. 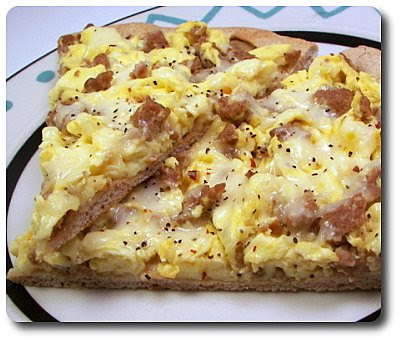 The contrast in texture between the thin, crispy crust and the soft, still-moist eggs, was just what we were looking for. While not overly meaty, we thought those little nuggets of leaner turkey sausage strewn throughout added just the right amount of weight without making it feel too indulgent or heavy. You could certainly add veggies if you like - bell peppers, onions or mushrooms come to mind, but Jeff vetoed that idea for ours! We did make sure to show a little restraint, even though we wanted to go back for an extra slice, because we both were looking forward to having a couple slices for breakfast in the morning!